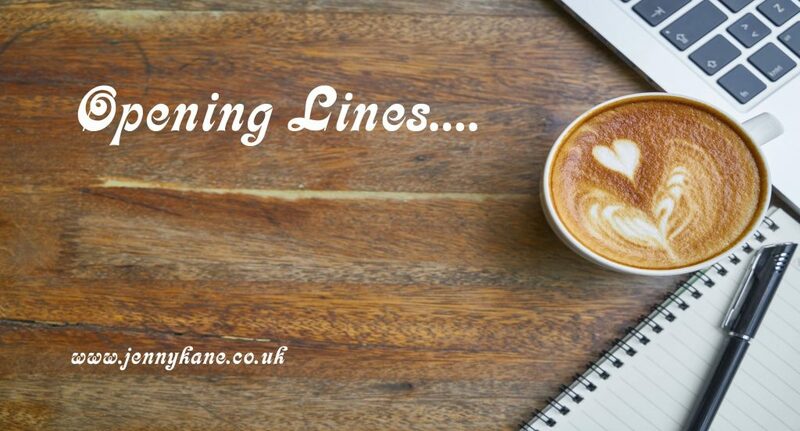 Thursday has arrived once more, and it’s ‘Opening Lines’ time. 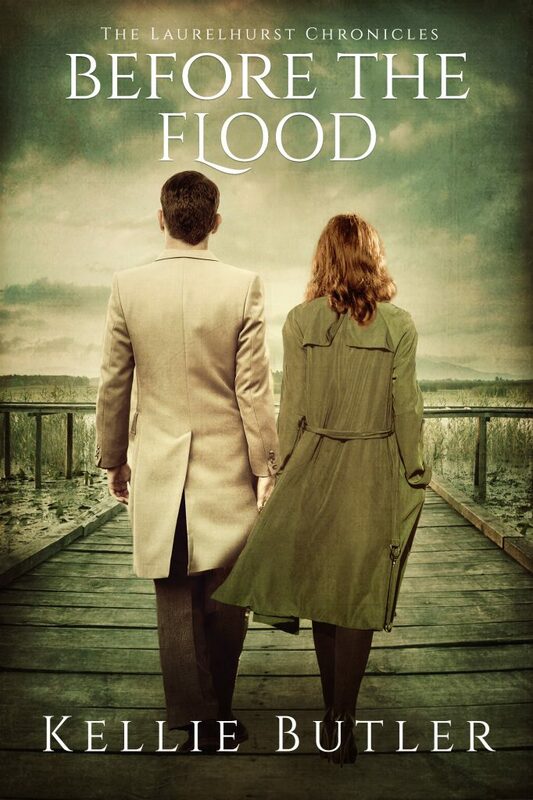 This week I’m welcoming Kellie Butler to my blog with the very beginning of her new release, Before the Flood. Hi, my name is Kellie Butler and I’m next up on the first 500 words blog series. Thank you, Jenny, for hosting me on your blog! My Laurelhurst Chronicles family saga follows the Cavert family from the beginning of the Second World War through the mid-1970s. It centers on a young Lydie Cavert, who is an adolescent when the first novel begins. My initial inspiration for this series was writing about trauma from the perspective of an adolescent that endures a lot of things we go through in life and then some. Every family has secrets, and her family certainly has a bevy full. I draw inspiration from classic film, television, literature, and historical research. I’ve just released the second chapter in the saga! Before the Flood is a beautiful, haunting celebration of the lasting bonds of family and friendship, and returns readers to the world of the Cavert family. Fiery art student Lydie Cavert nearly has it all after putting the shadows of her uncle’s sinister legacy behind her: great friends, a blossoming art career, and romance with the handsome but reserved Dr. Henry Bainbridge, her brother’s best friend and colleague. Her hope for peace is shattered when she returns to England to help Henry’s recovering sister Kate find her own happiness during the London Season. The sinister empire that claimed her uncle has plans for Lydia. Plans that could threaten her and Henry’s happiness by exposing secrets both would like to keep from resurfacing. From New York City’s vibrant streets and the idyllic farmlands of Upstate New York to the cosmopolitan avenues of London and Paris, Before the Flood tells a story of the richness of family bonds, the searing heartbreak of betrayal and innocence lost, and the redeeming power of love and friendship. On a crisp October day, Lydie counted the minutes till the end of a freshman class assembly at Barnard College, so she could take the subway across town to her studio: the one place where life made sense. When the assembly ended, she tugged at her cardigan as rows of glossy-haired girls in saddle shoes and heels filed out in front of her. The musty air of the auditorium mingled with the sea of perfume and it gave her a headache. She pushed through the crowd until she breathed the open air of the city. Inhaling the sweet crisp scent of rain on the wind, she hurried through the school’s gates towards the subway station. Minutes later, she sat on a woven cane seat of a packed subway car, clutching her books with long, slender fingers. After a short ride, she exited the packed train and emerged onto a busy street, walking down the pavement until she reached a four-story brick building with large windows. Climbing up the stairs to the top floor, she fetched her key out of her red leather bag to unlock a large metal door. She entered her sanctuary and tossed her books onto a chair before setting up her easel and palette. Releasing a heavy sigh, she unrolled her brushes before pouring linseed oil into a glass jar that sat next to her brushes. Pondering what she would paint that day, she changed clothes behind a screen in the corner of the studio. From next door, she could hear the wailing of a saxophone, the tinkling keys of a piano, and the gentle plucks of a bass violin as a group practiced. It settled her soul. Emerging in an old blouse, rolled up jeans, and canvas shoes, she stretched as the late afternoon sun bathed the room and highlighted her waves of reddish-gold hair. Pulling an old scarf from her pocket, she tied her hair up to keep it from falling in her face. Lydie stepped towards the canvas, picked up a brush, and prepared to release the doubt out of her unsettled mind. Her doubt never began as a torrent for her. It began as tiny drops of discord. The drops pooled and formed into small trickles. Trickles into streams. Streams converged into rivers, and rivers overflowed their banks into floods. As Lydie mixed paint, she gauged that she was right before the flood stage. The only thing that brought her back from her emotions overtaking her was to let the current flow through her arm, down into her brush, and onto the canvas. Lydie’s conscience wasn’t clear. Ever since arriving a few months ago, she’d doubted why she could escape England start over somewhere else when so many people were greater victims during the war and never got that chance. It made her feel guilty sometimes. She knew she had been close to becoming another victim of evil. An evil that wore a kind face and charming smile. If you want to read more, go to http://getbook.at/beforetheflood for the paperback and Kindle editions. You can also purchase the eBook through Barnes and Noble, Kobo, iBooks, and other retailers at this link: https://www.books2read.com/u/md0xRX. Thank you very much for reading! 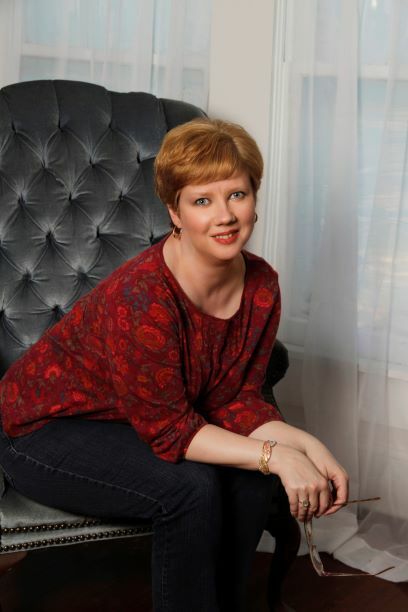 Kellie Butler is the author of Beneath a Moonless Sky and Before the Flood. A freelance writer and paralegal, she lives in a quaint small town in the southeastern United States. She enjoys hiking, cooking, knitting, reading, and walks with her dog, Chip. Visit her website www.kellierbutler.com to connect with her on social media (Twitter, Facebook, Pinterest, and Instagram) and to sign up for her newsletter. Many thanks Kellie. A great opener. Come back next week to read 500 words from James D Mortain. Thank you so much for having me on your blog, Jenny!